The Oshman Engineering Design Kitchen (OEDK) provides a space for undergraduate students majoring in bioengineering, chemical and biomolecular engineering, civil and environmental engineering, computational and applied mathematics, computer science, electrical and computer engineering, materials science and nanoengineering, mechanical engineering and statistics to design, prototype and deploy solutions to real-world engineering challenges. To create the full circle of real-world experience that has societal impact, interdisciplinary teams tackle problems proposed by industry and partners in the Texas Medical Center and abroad. How does invention happen in the Oshman Engineering Design Kitchen at Rice University? On any given day in the OEDK, students are sharpening their minds undefined and getting their hands dirty undefined on some intriguing design challenges. The OEDK is a 20,000-square-foot space engineering innovation space, which includes not only the central work area with over 75 work tables, but also conference rooms, a classroom, a wet lab, rapid prototyping equipment, large format printers, designated woodworking area, a machine shop and access to a welding shop. The OEDK has revolutionized engineering education at Rice by providing a collaborative hub where engineering students at all levels can tackle authentic, or “real-world,” design challenges.. In the past, engineering design projects were completed in a variety of teaching and research labs or even in residential colleges at Rice. With the onset of the OEDK, our students are provided resources to work on interdisciplinary design teams to develop solutions to real challenges faced locally or abroad. They engage in all phases of the design process, from prototyping novel technologies, to presenting their work to corporate and community partners, to testing their inventions in the field. Our curricular model is built on Rice’s strengths: our relatively small size, the high quality of our students and professors, and our knack for interdisciplinary collaboration. At the same time, we leverage powerful partnerships with the Rice 360°: Institute for Global Health Technologies and the Rice Center for Engineering Leadership. This model has generated excellent results. 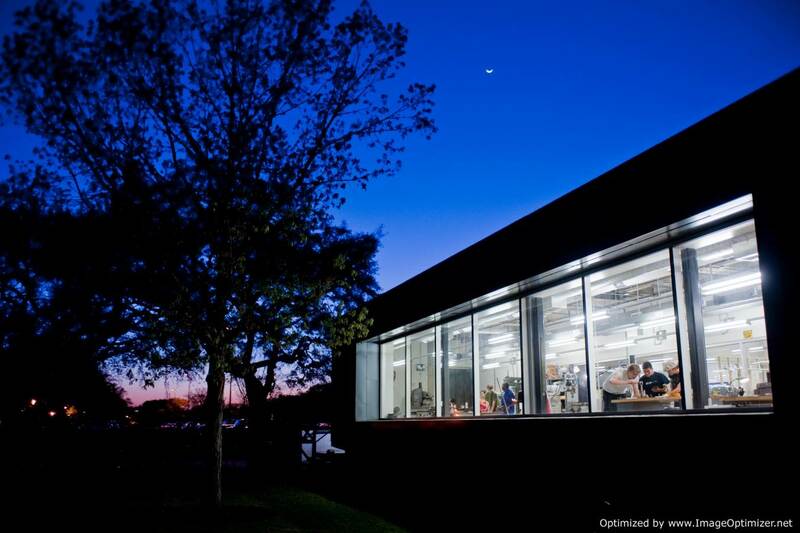 The OEDK reduces the barriers for our students and provides them with collaborative and creative spaces, along with prototyping resources, to foster their engineering design ideas. The OEDK is part of Rice's School of Engineering's plan to require its students to have a significant design experience as part of their education. In addition to collaborations among the different engineering departments and schools at Rice, the School of Engineering plans to expand the program to include collaborations with institutions in the Texas Medical Center and external businesses.